In 10 sessions you’ll feel the difference. In 20 sessions you’ll see the difference. In 30 sessions you’ll have a new body. A fit, healthy body is the ultimate fashion statement. In our fully equipped Pilates Studio, we provide classes and one-to-one sessions following the STOTT PILATES® Matwork and Reformer method. Through regular practice you will develop muscular strength, flexibility and core strength. Pilates focuses on improving posture and joint alignment, therefore reducing the occurrence of back pain and general joint pain. Pilates for sport and athletic conditioning will help you achieve your goals and train like an athlete. Beginners Pilates (Matwork). A great place to start. If you are completely new to pilates it is recommend that you start with this class. In a few sessions you will understand the basic principles of pilates and be able to diversify into more advanced classes. Essential – Intermediate Matwork. 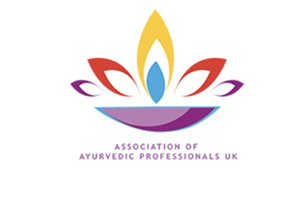 In this class you will practice a wider range of exercises, further developing your core strength, postural alignment, strength, endurance and flexibility. Intermediate – Pilates Flow. This is a challenging progression from the essential-intermediate level class. The pace of the class and transition between exercises is quicker, so a good understating of core strength and alignment is essential. We also practice more of the Intermediate to advanced exercises. This is a fantastic class to further develop your muscular strength and endurance. Beginners Pilates Reformer. The Pilates Reformer is the principle piece of Pilates equipment. The moving carriage and adjustable spring tension challenges core strength and balance. 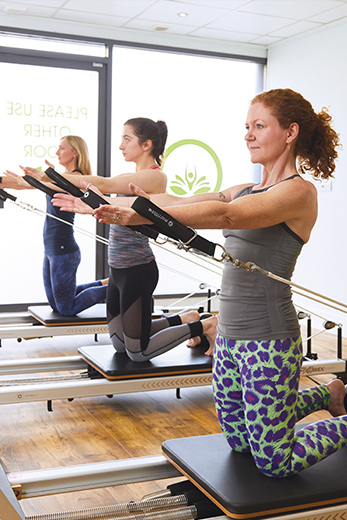 The Pilates reformer is suitable for anyone, at any level of fitness. The beginners class is a great place to start if you are new to Pilates. Essential-Intermediate Pilates Reformer. This class is a great progression from the beginners class. Once you have an understanding of posture, alignment and stability, we can start to introduce you to more challenging exercises. Pilates Reformer Conditioning. 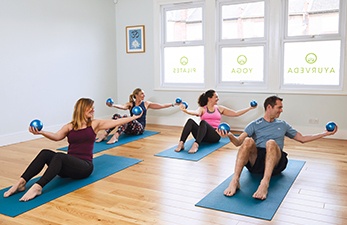 Whatever your sport or fitness regime Pilates Reformer Conditioning, will enhance your performance by improving core strength, endurance and flexibility. The core is the ‘powerhouse’ from where we generate speed, power and alignment during movement. A must to stay injury free and develop your strength and endurance. Pilates Barre. 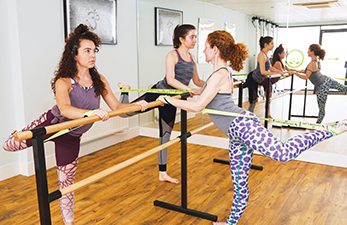 This class offers a creative mix of ballet inspired movements and pilates exercises. The result is a challenging, fun class which will sculpt and tone the body in all the right places. Develop you cardio, strength and flexibility.